Her Honour the Hon. 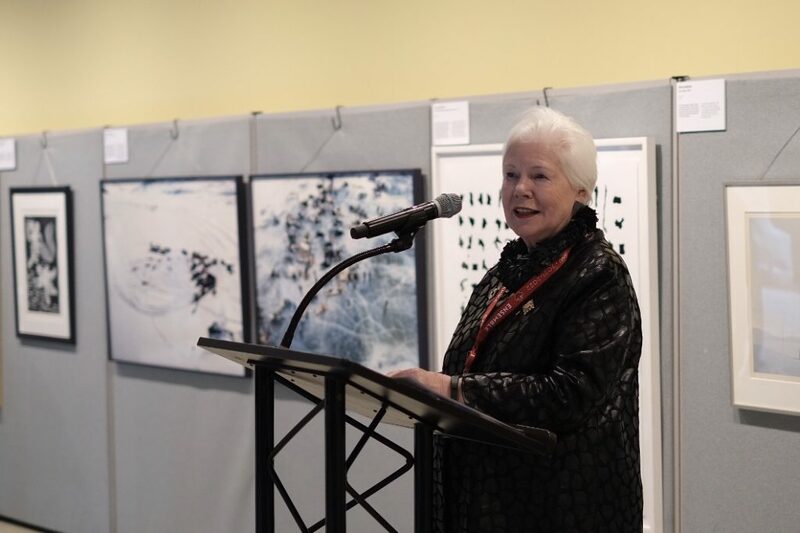 Elizabeth Dowdeswell, Lieutenant Governor of Ontario, hosted a reception celebrating the unveiling of the art exhibition Awakening at the United Nations in New York on the evening of Wednesday, March 27. Louise Blais, Canada’s Ambassador at the United Nations, Phyllis Yaffe, Canada’s Consul-General, and Amy Jenkins, Head of the Canada Council Art Bank, all spoke during the event. The provocative exhibition and accompanying publication seek to answer the question, “Now that we can do anything, what will we do?” using the United Nations’ 17 Sustainable Development Goals as a framework. First commissioned by Her Honour, the exhibition has hung in the Lieutenant Governor’s Suite in Toronto since May 2018, where it has been viewed by over 10,000 visitors. The works featured in Awakening were curated by the celebrated Canadian designer, Bruce Mau, and are generously on loan from the Canada Council Art Bank. The exhibition will remain on display at the United Nations until Friday, April 5, 2019.